Big buttons and quick playlists should make it easier to keep eyes on the road. One of the problems with streaming music in the car is that it takes too much effort. Thumbing through an app while you’re still in the driveway can mean delaying your trip, and trying to set up songs while driving is just dangerous. 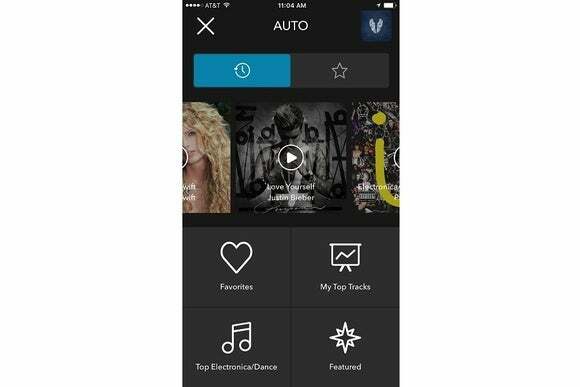 That’s the issue Rhapsody is trying to solve with a new Auto mode for its subscription streaming service. 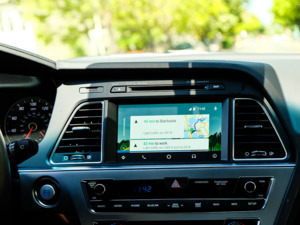 It’s basically a set of jumbo-sized buttons with quick access to playlists, and it becomes available when users plug in an auxiliary cord or connect to a car’s audio system via Bluetooth. Auto mode is available for Android now, and is headed to iPhone soon. The playlists on offer include favorite tracks, top tracks, trending music, favorite genres, and curated playlists. While listening to music, the now playing menu shows a big “Play More Like This” button that creates a custom Internet radio station. 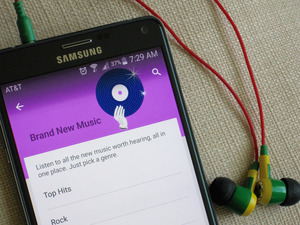 Users can also bookmark songs or albums for Auto mode, so they’ll download for offline listening. That could come in handy when driving through dead zones or trying to avoid cellular data caps. This is actually the second usage-specific mode that Rhapsody has launched in as many months. In October, the company added a “Kids” mode with age-appropriate playlists, a simplified menu system, and parental controls. While Rhapsody has been around longer than in vogue streaming services like Spotify and Apple Music, it’s a bit more obscure, with 3 million paid subscribers to its $10 per month service. If you’re wondering whether frontrunner Spotify might do something similar to Rhapsody Auto, user requests for “car mode” were marked as a “good idea” by Spotify staff back in April. Why this matters: Despite the ubiquity of smartphones, surveys from as recent as last year show that more than 90 percent of people the United States still listen to radio every week. The reality is that turning on the car radio is easier than plugging in a phone and fiddling with an app, even if the Internet affords more choice and personalization. While systems like Android Auto and Apple CarPlay are an improvement, it’ll be a while until they’re the norm on car dashboards. In the meantime, app-based solutions like Rhapsody Auto can fill the void.